After three years of service, during which it outlived two more-advanced models and overcame hurtful jibes over its non-Retina display, Apple may be ready to let the iPad 2 move on to the great silicon playground in the sky. AppleInsider brings word from sources 'familiar with Apple's plans' claiming iPad 2 production is being wound-up ahead of an official discontinuation of the device first launched in 2011. 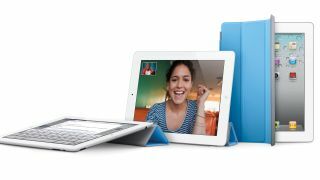 The tablet, alongside the original iPad mini, has been retained by Apple to sit beneath the current-generation iPad Air and iPad mini 2 with Retina display tablets as cheaper, non-HD options. The new iPad (iPad 3) and somewhat negligible iPad 4 update, both offering Retina, have both come and gone since the iPad 2 launch, underlining the first sequel's enduring popularity. So why is Apple reportedly ready to pull the plug now, at a time when more affordable tablets are all the rage and following a recent study suggesting it is still the company's most used tablet? Well three years might not sound like a long time in real life, but in Apple terms it equates to the passage of time between ice ages. Well, approximately. If the company does decide to put the iPad 2 out to stud, it will be interesting to see whether it still supports forthcoming software updates like this year's expected iOS 8. From iPad to iPhone: Here's what we know so far about the iPhone 6.